Sectarianism is synonymous with the political and economic history of the north of Ireland. In the decades following partition it was institutionalised within the structures of government and society. Sectarianism defined the North: it dictated employment, education, housing and voting rights. In the southern Irish state post partition, catholic doctrine directly influenced the nature of the state and social policy, and alienated sections of the protestant population. The legacy of sectarianism has been a blight on society, north and south. Today it remains endemic in northern society. It is at the crux of all political, social and communal divisions. It is omnipresent, yet many try to pretend it does not exist. It is our ‘elephant in the room’. We try to avoid it because it’s too challenging: too close to home. It’s the rat in our collective, societal consciousness. Sectarianism isn’t some abstract concept. Its attitudinal; it’s a state of mind; it directly and indirectly influences behaviour patterns as well as policy practices. It is also an instinctive reflex: a default position which categorises fellow citizens as belonging to ‘them’uns’ or us’uns. All of these factors provoke and perpetuate a sense of difference. They normalise communal segregation and division. Sectarianism co-exists within a framework of differential assumptions about society which also legitimises racism, homophobia and intolerance. It is fuelled by a psyche which breeds and rationalises a sense of exclusivity and superiority among some over others – even in circumstances of shared poverty or inequalities. The result is a mutually reinforced sectarian segregation. This applies particularly with regard to places of residence, and primary and secondary schools. The policy of successive British governments towards Ireland have created, exploited and sustained sectarian division in the north of Ireland. Promoting integration bucks the trend by challenging the ideology of exclusivity and superiority which ascribes ‘tribal’ differences. Sectarian segregation acts as a tool of social control by discouraging ideas at variance with the overall logic of communal division. The catholic and other churches, and institutions historically fostered sectarian difference to maintain their respective dominance or control over ‘their side’. Crucially, sectarianism provided the institutional cement which held together what became known as the ‘orange state’ in the north. That grew organically out of the divide and conquer maxim of British colonial policy in Ireland. Sinn Féin's analysis is clear. No section of northern society is free from the cancer of sectarianism. It exists within both unionism and nationalism. However, it is fundamentally incompatible with Republicanism. No one can claim allegiance to the tradition of the United Irishmen and women and the Proclamation of 1916, and not be avowedly anti-sectarian. As a tool of social control, sectarianism is also the antithesis of progress and solidarity. Opposition to anti-sectarianism equates to a fear of, and resistance to change. 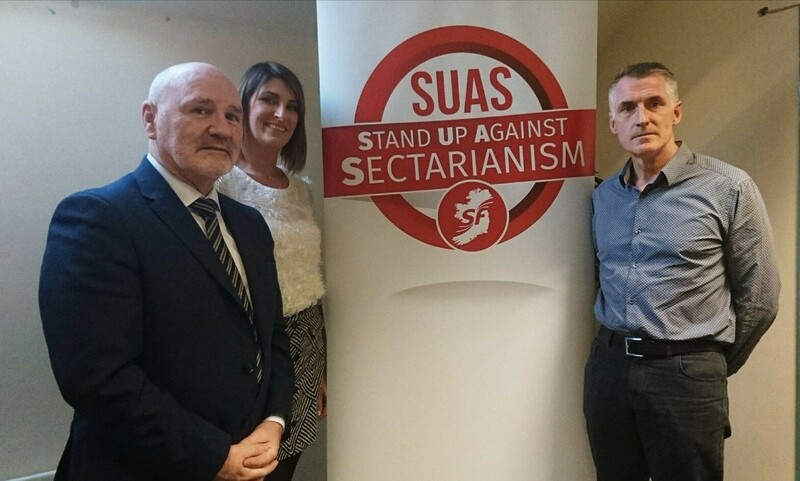 In 2017 Sinn Féin launched our #SUAS - Stand up Against Sectarianism campaign. We have also tabled comprehensive proposals to tackle sectarianism in every forum. We introduced these again during each phase of talks to re-establish the political institutions since March 2017. The DUP blocked all these measures because some who dominate within that party prefer communal and political division, instead of a united and shared society. The Good Friday Agreement set out a vision of an integrated, non-sectarian society based upon the principles of equality, mutual respect and parity of esteem. As a community, that must remain our ambition. Sinn Féin has argued that the public and political discourse needs to change. Anti-sectarianism is not a zero sum issue with winners and losers. Today in northern society sectarianism is the biggest block to integration; a shared society; dealing with the past; and, reconciliation. That is reinforced by the British Tory government pact with the DUP. The British government as a co guarantor of the Good Friday Agreement and successive agreements has an overall responsibility to challenge sectarianism and create the conditions for political progress. Sinn Féin believes the values of anti-sectarianism and reconciliation should become common ground for listening to and learning from each other, and moving forward collectively. 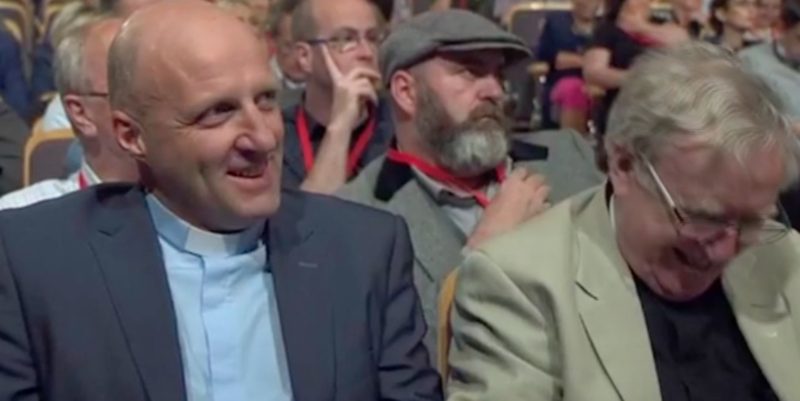 Last weekend Laurence Graham, the outgoing President of the Methodist Church in Ireland addressed the Sinn Féin Ard Fheis. He delivered thoughtful challenges to republicans and others, on the need for reconciliation. No one batted an eyelid within or outside the Ard Fheis. It is now considered normal for Sinn Féin to take such initiatives in pursuit of reconciliation. That is how it should be: but this commitment also needs to be mainstreamed across political and civic society in a way which encourages a decisive break with the past, and forward momentum. Sinn Féin cannot do this on its own. So, the DUP leader, Arlene Foster should attend the Ulster Football championship final in Clones – and support Fermanagh. It would be a small step in the right direction. But neither should it be elevated as an extraordinary or exceptional thing to do. It should happen in order for this and similar practices to start becoming embraced as normal political behaviour by political unionism at all levels. United political and civic leadership are needed now. Unless there is pressure for, and then a willingness to commit to power sharing and a rights-based government and society in the north, the political institutions will not be re-established on a sustainable basis. Sinn Féin is absolutely committed to bringing about a rights-based and integrated shared society in Ireland. We believe anti-sectarianism should be at the heart of our political and civic institutions. On June 25th at the Houben centre in North Belfast, Sinn Féin's policy on anti-sectarianism ‘One Community’ will be launched. The location is both symbolic and apposite. This part of Belfast in particular has been deeply scarred with division and violence as a result of sectarianism. Yet there is pioneering work being done to reconcile differences, heal old wounds and build the foundations for a united and shared society in the future. 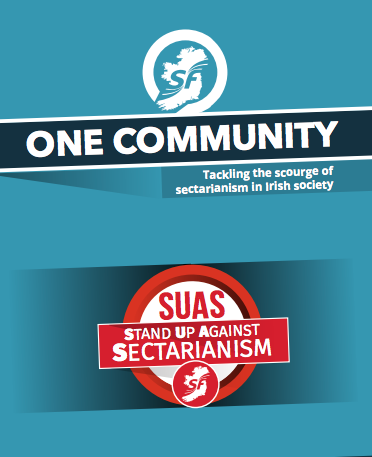 'One Community’ sets out a comprehensive series of proposals to tackle sectarianism and sectarian segregation. Importantly it calls for a legal definition of sectarianism as hate crime and with powers of enforcement. Anti-sectarianism should be common ground, regardless of constitutional differences. It is the key to dispelling suspicion and fear, and facilitating reconciliation. It is the key to a united, shared future. Those who suffer from segregation, division, inequality and discrimination have nothing to fear from a united, shared community. Those who profit from and exercise political dominance based upon sectarianism have everything to fear.